I think I inspired this blog post! You did (partly)! I’d been incubating this one for a long time. Good stuff. I put #s 2,4 and 7 in Evernote. These are important reminders not only for best practices but also when to leave well enough alone. Phil – unless I’m misunderstanding, it seems as though I’ve seen plenty of non-www urls in local 7-packs, without rel-canonical being specified. Well, I’ll be damned! I’d looked at a bunch of those results, and all had rel=canonical. Any thoughts as to what’s going on? Not exactly sure how they are determining it. I can only speak for one of the listings (which is a client of ours) in which we’ve used Google Webmaster Tools to specify the non-www version. Knowing the local market though, I would have a hard time believing that the others have done that too. Based on a few other articles, if you link your only listing to your home page, you can’t have both an organic result and local result in the serps. Thus it’s more advantageous, even if you only have one location, to make a special landing page and link to that. That way you can have two listings, one local and one organic, in the results. So before you turn away people with only one location, I’d suggest mentioning that. That’s often true, but not always. 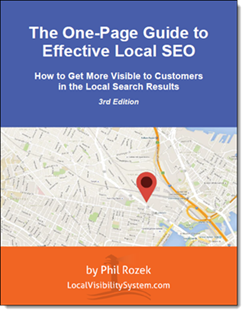 Often you’ll you want a location-specific landing page to be the one ranking in the organic results. In any case, which page should be “linked” with your Google listing just depends on the particulars of your situation.